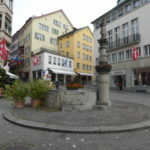 A drunk Park Ha-jin (Lee Dong-gun) and Yun Jae-myeong (Lee Jin-wook) take a rest at the foot of the fountain that sits in the middle of this public square in episode 2 of Smile Again (스마일 어게인) (SBS, 2006). 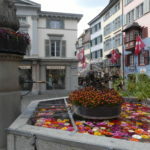 Here, Ha-jin explains how he cannot die young as his dream to become a somebody keeps him alive. 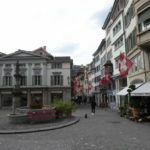 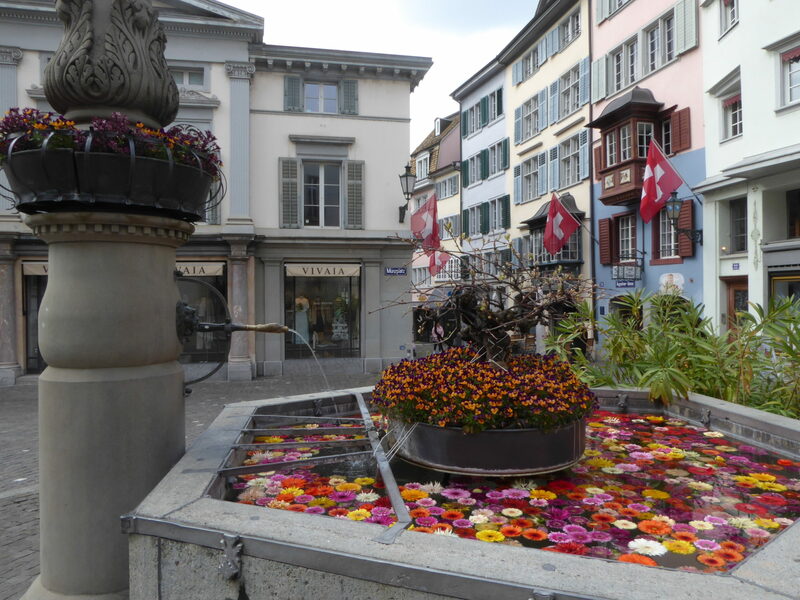 Münzplatz (which translates to ‘Coin Square’) is a small square in Zurich, Switzerland, with a fountain at its center. 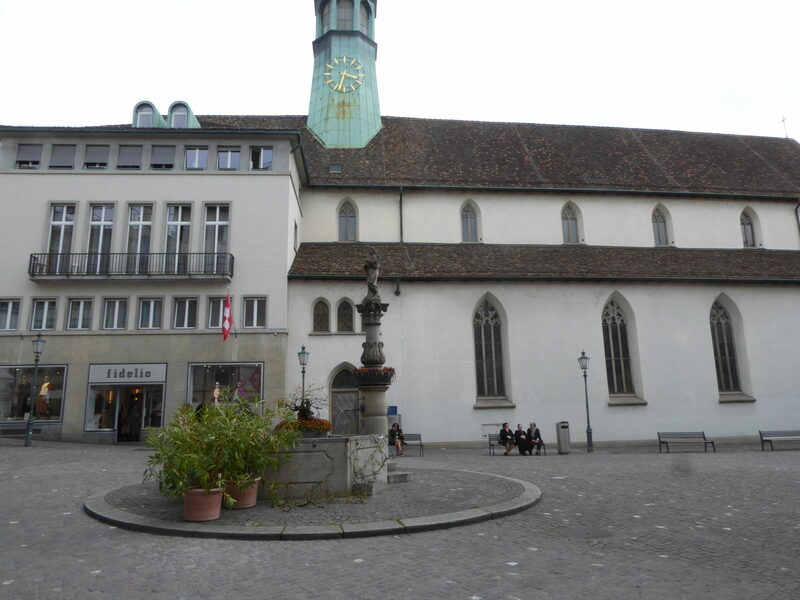 It is located in a pedestrian zone just next to the Augustinerkirche Zürich (Augustinian Church – built in 1270). 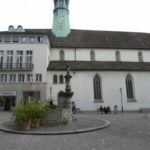 During the Reformation in Zürich, the church was converted into a secular workshop that served as a mint coinage until it returned to its principal usage as a church 300 years later. 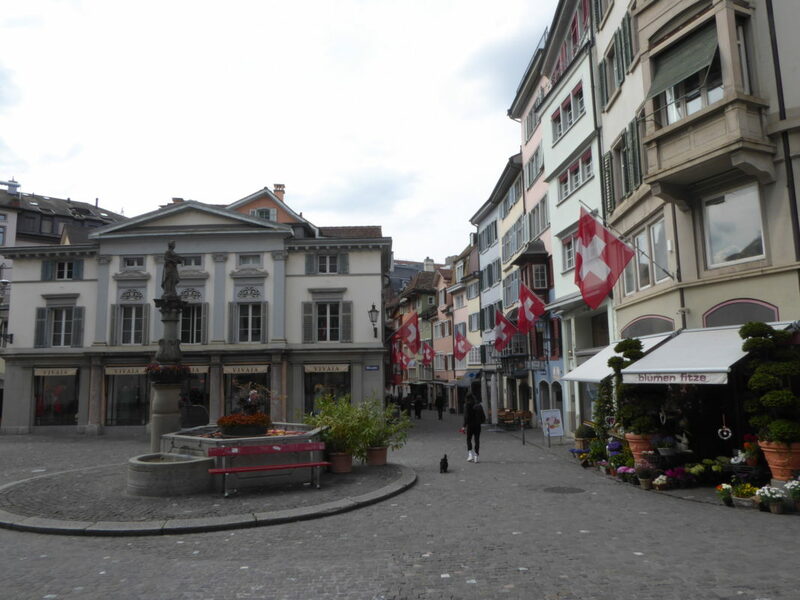 This square’s name thus holds the memories of the history of its attending church. 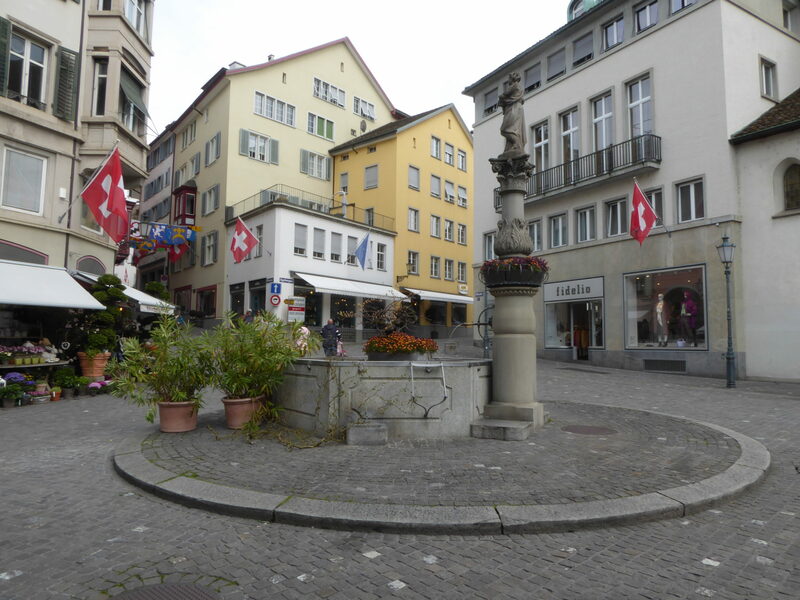 It is located in Zurich’s old town (Altstadt), which also makes up Zurich’s District 1 [Kreis 1].